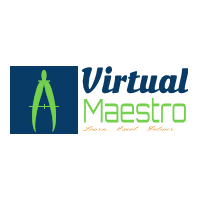 Virtual Maestro: What is VDI and Horizon view 6.0? Well there are three terms in this single question as below. This is an approach or vision towards, virtualizing the end user desktops and provisioning these desktops centrally from datacenter over the network. This approach helps to overcome challenges like backup and restore, data control and availability that we face in day to day desktop management where no VDI is implemented. Just like VMware vSphere, Horizon is a product suit that includes View, Workspace and Mirage. View 6.0 is the solution from VMwrae to implement VDI environment. It uses PCOIP and RDP as protocols. Be low is the architecture of view 6.0.